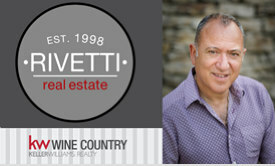 As tour director for the Rivetti Family Entourage return to the motherland this June and early July, my posting on Southern Sonoma Country Life is likely to be rather sporadic. So many stories to tell, snippets to impart, much of it might appear here post-trip given the logistics of roaming the country by train (and sometimes car) with all the lads in tow. First stop after family and high school mini-reunion in the Fens - Liverpool. Here's a shot of Rocco in the Cavern Club, where bands still play in the hallowed space of an evening. Enjoyed a half pint of beer whilst soaking in the history of the Beatles first regular gig. Every single brick in the Cavern has been signed by Beatles fans over the years and though packed with wide-eyed visitors, it has maintained a genuine atmosphere unlike other tourist traps in the world of legendary music locales. Off to visit John Lennon and Sir Paul's childhood homes, this morning, exclusively through the National Trust tiny tour via mini van, which, thankfully, I'd had the foresight to pre-book several weeks back due to tip-off by fellow Southern SoCo Brit friends who had been in Liverpool for a quick pit-stop this Spring. This picture is worth 1000 words! You're having WAY too much fun!